For a lot of us, the only time we really have a professional photo taken is high school graduation, or a wedding. But there are so many more opportunities to celebrate ourselves and mark different times throughout our life. Courtney came in for a session, and beyond just using these for headshots, she has some beautiful images of herself as a gorgeous, vibrant young woman, with a great smile. The New Issue of M Magazine is about to hit the stands, and we are excited that we were able to be a part of it by photographing the special Faces of Metro Milwaukee campaign! Check out the over 15 different businesses featured in this section by clicking here, or pick up a copy at the stands! Last week Chris hired me because he got a promotion, and needed some portraits for a variety of uses including social media and images for upcoming conferences. Even though these were for corporate use, I had the freedom to be a little looser with the posing and feel of the images. Congrats to Chris and his new adventures! Arthur Ircink is the Founder, Director, & Producer of Wisconsin Foodie, an Emmy® Award-winning television series dedicated to discovering the stories behind the food we eat. I met Arthur back when we were both young cats on the Photo/Video scene here in Milwaukee. So, I was delighted to hear from him when he said he had been nomintated for the Milwaukee Business Journal's 40 Under 40 and needed some portraits taken! During our shoot Arthur mentioned that they always shoot natural light when they film the show, so I wanted to use the same approach with his picture. He also mentioned 60's French Filmmaker, François Truffaut, who has all these great, gritty, black and white images of himself, so I wanted to bring that into the shoot as well. Congrats to Arthur for his nomination! We were delighted to photograph and be a part of the Rare Steakhouse Preview Party! The original location is in Madison, and they just opened up a new location in downtown Milwaukee! Guests received star treatment and dined one delectable bites. Congrats Rare and best of luck! We recently had Bailey Hintz (@bailey_hintz) in the studio, who is competing for Miss Wisconsin 2016 this year! Bailey was so much fun to talk to, and underneath the glamour is a girl who loves to read! She is down-to-earth, funny, and smart, and we wish her the best of luck! Thanks also to Parker (@manaboutstyle), who did hair for this photo shoot! 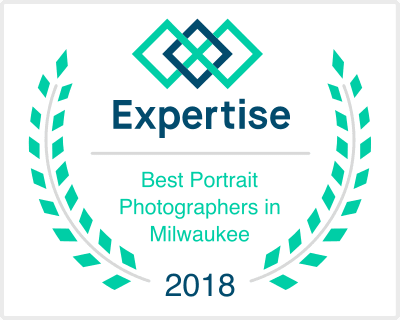 Earlier this year I became one of the Directors of the Coalition of Photographic Arts (CoPA) (www.copamilwaukee.com) here in Milwaukee. I was approached by the new president who shared her vision for CoPA, and I was moved by her passion and dedication, and wanted to be a part of it. One of the things I really wanted was a high level exhibition opportunity for CoPA members, and boy, did we get it! Armed with the fitting theme of "Transformation", members submitted work that was juried into the show by representatives of Haggerty Museum of Art. Winning selections were printed on various fine art papers by Prime Digital Media. The show is being held at the Pop Up Gallery at The Pfister Hotel alongside gorgeous large scale images of Yosemite and The Tetons by CoPA Founder Tom Ferderbar (who will be on WISN 12 NEWS tonight talking about the show!) My heart is full of joy with all this success and I couldn't be more thrilled. I will be at the show opening reception tonight at The Pfister (6-9pm tonight with After Party to follow) and would love to say hello to you all!! Please stop by and support this awesome achievement for Milwaukee! !